Put two of the game’s most elite spitters in front of a crowd of tatted-up fans and this is what you get. Check out this video of Rittz and Tech N9ne ripping shop at Travis Barker’s Musink Tattoo Convention and Music Festival. Rittz also sits down with the gorgeous Bernadette Macias for an interview and short chop session, revealing a hidden talent in the process. Overall it’s a dope video showcasing what an incredible hip hop show looks and sounds like. 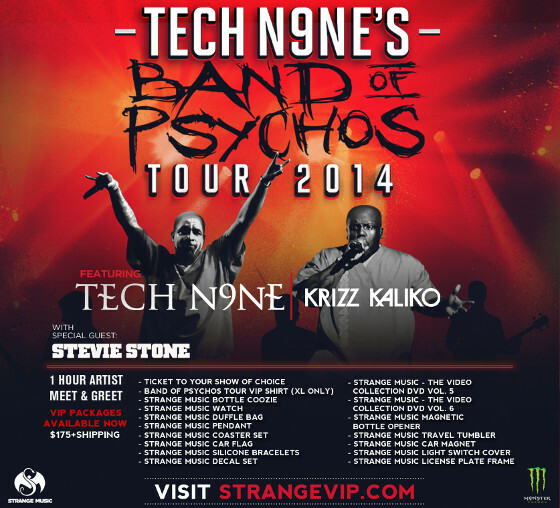 TO TECH N9NE’S BAND OF PSYCHOS TOUR!